Salt spray: 10 x (24h + 24h) alternate salt spray according to EN60068-2-11. 500h continuous salt spray according to NFC93422. Pressure gland cable termination: Operating pressure up to 100 bar. Tested at 200 bar. Overmolded cable termination: operating pressure up to 300 bar. Test according to customer specification. 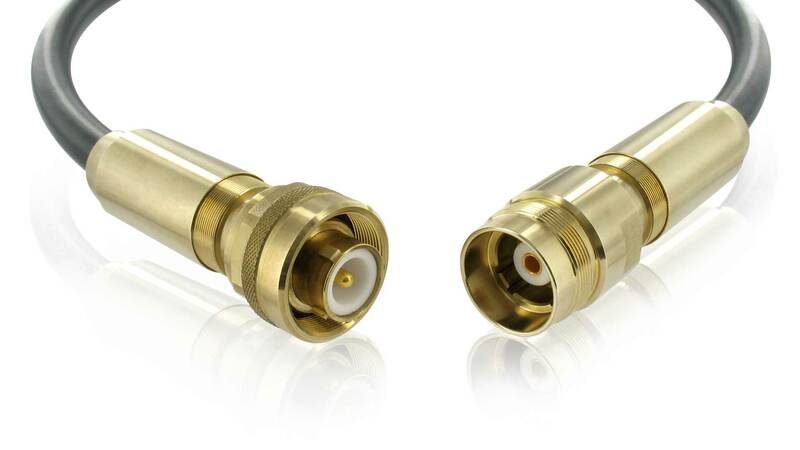 The M Series connectors meet the highest standards of safety for deep submersion and is used in many applications: from oil and gas industrial service to renewable energy generation systems and military submarines. Employing marine bronze shells, M connectors provide high corrosion resistance and high biological fouling resistance. The shell to shell sealing with two O-rings in the coupling interface brings reliable watertightness regardless of the pressure (low or high) and is easy to mate and unmate even with high contact density layouts. Shell polarization keys and scoop proof design make blind mating possible and increase robustness. Available with integrated backshell, M connectors provide extreme resistance to pull out or transverse forces and to vibrations and shocks.